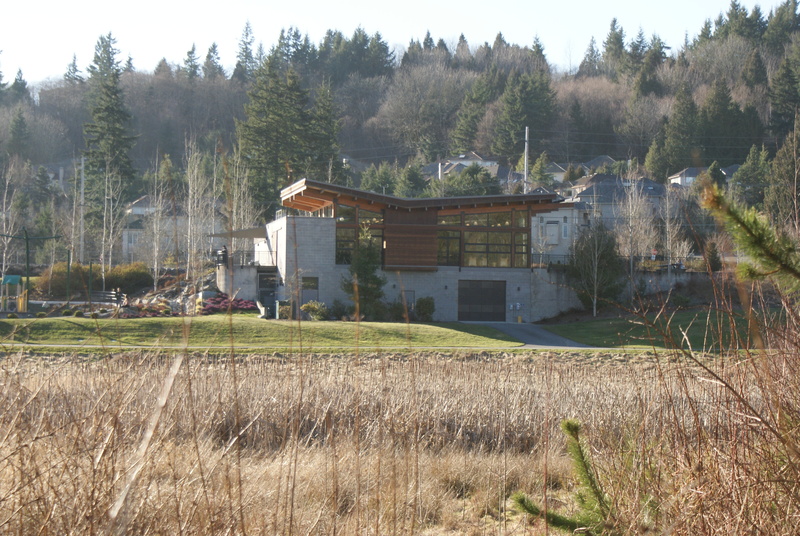 We had the chance last Friday to check out a new park (for us) over in Bellevue. 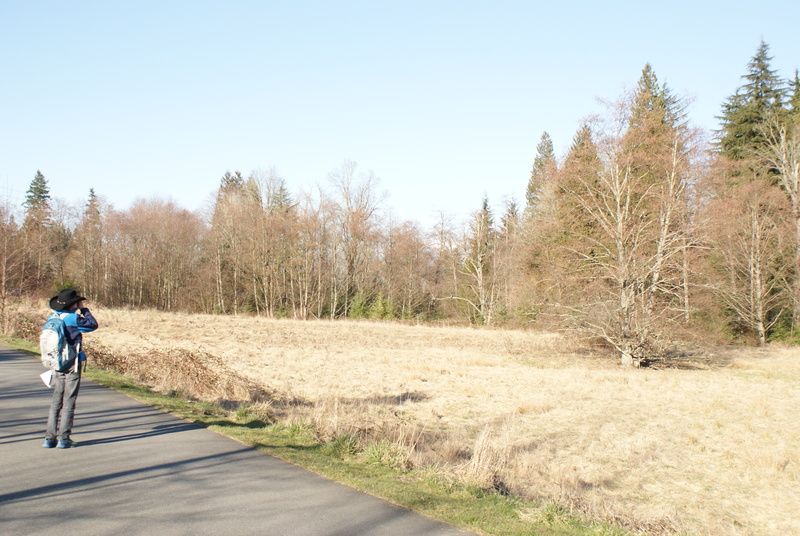 Lewis Creek Park has about 3 miles of trails on its 55 acres. It includes wetlands, meadows, and forests. Some of the trails are paved, and some are softer surfaces. The Visitor Center has some interesting activities and information inside. 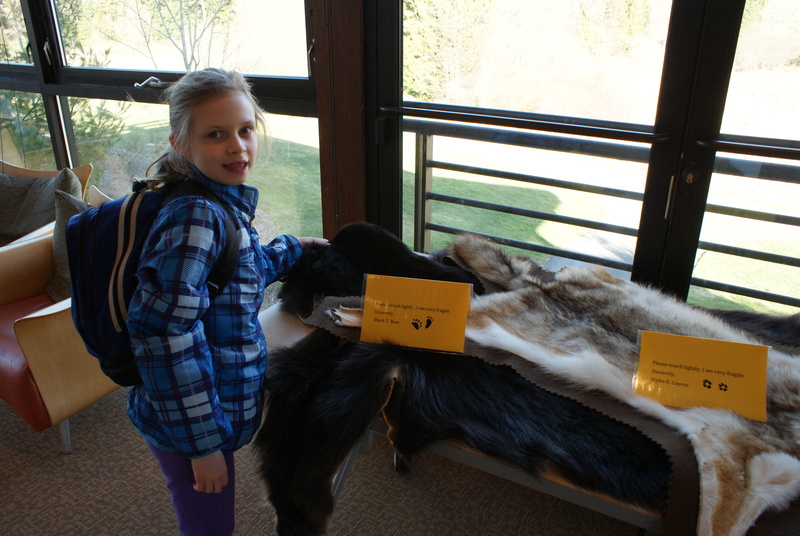 We started there, and looked at animal track replicas, animal skins, books and other printed materials. 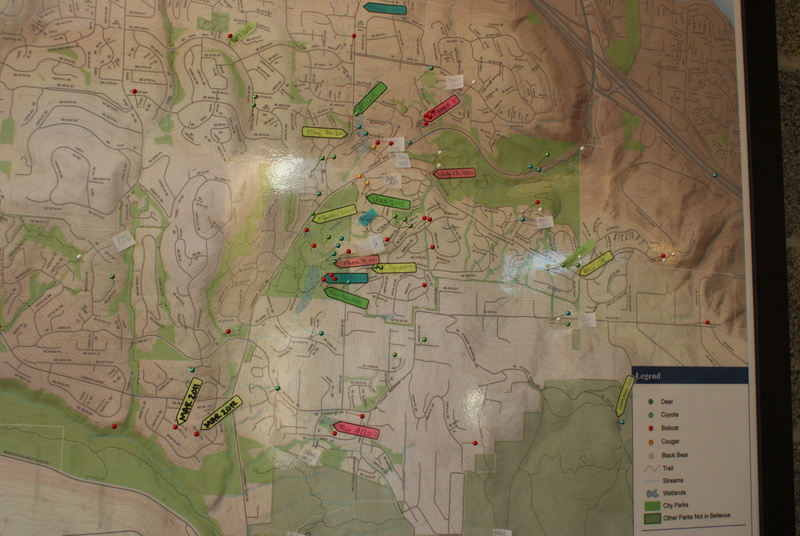 On the wall is a poster of the park and surrounding area, with pins marking where large animals have been sighted in the last few years. It was cool to see how many bears, cougars, deer and other animals have been seen in the suburban environment. 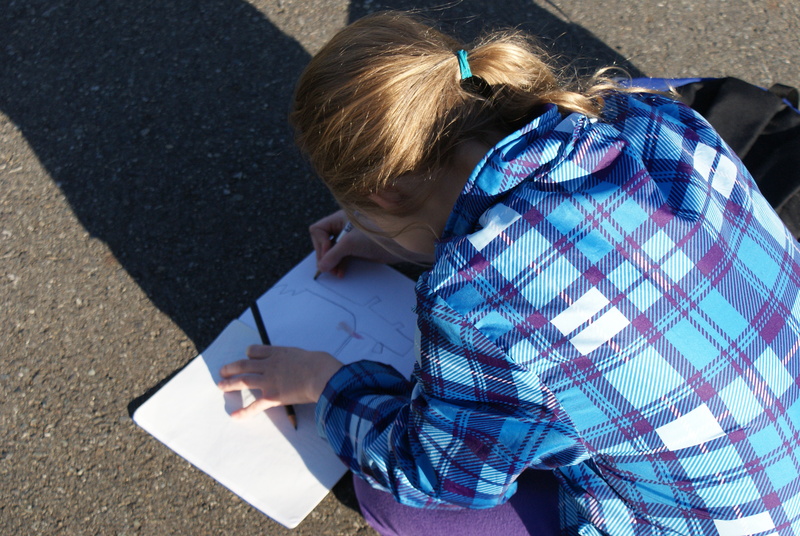 Annika did an activity where she put together and labeled the parts of an insect. Gabe looked through the telescope out the window into the park. The restrooms were clean, and are open from dawn to dusk. 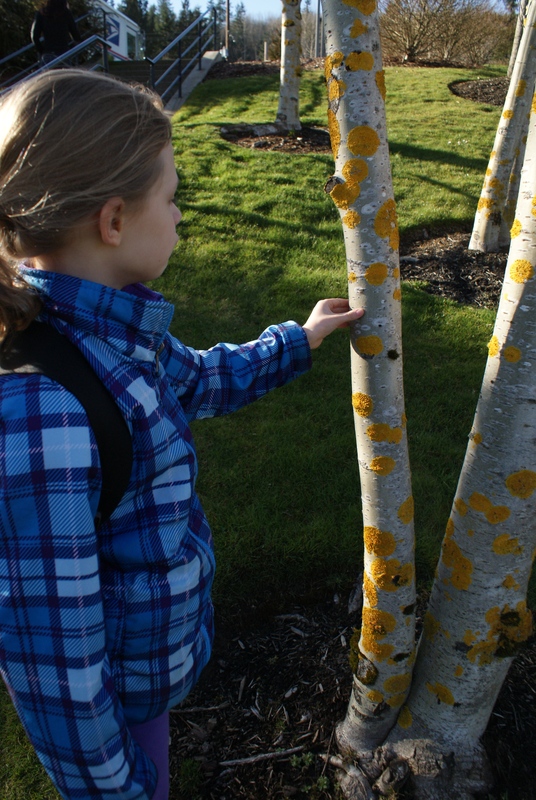 There were other natural objects to touch and observe, and plenty of chairs to rest in. 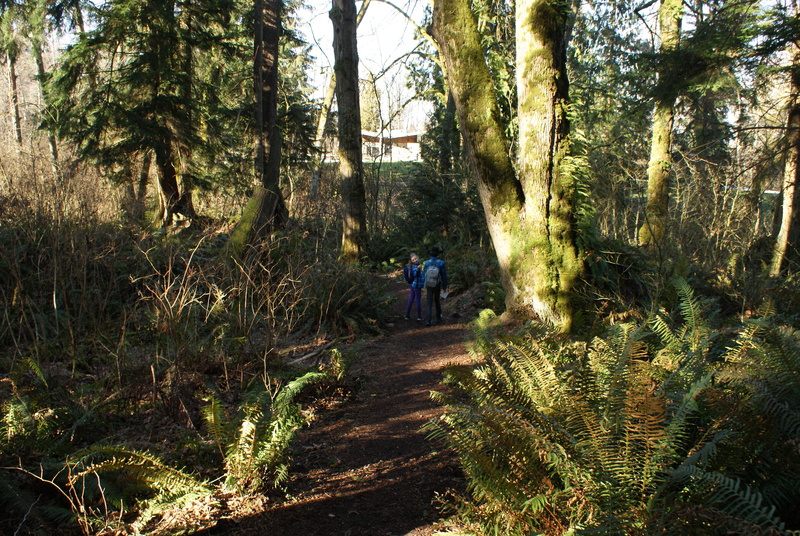 After we spent a little while in the Visitor Center, we went out to walk on some of the trails. 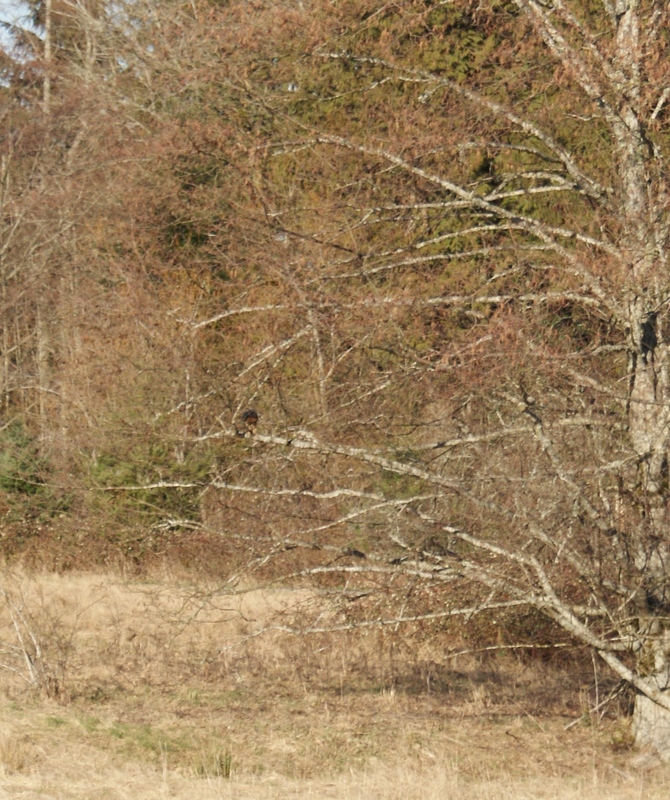 As we started down the loop that circles the meadow, a red-tailed hawk swooped down into the grass, grabbed its prey, and flew up to a big tree to eat it. We watched it for several minutes before it flew off. That alone made it worth the trip! Once the hawk flew off, we walked down into the forest. We discovered a delightful stream that looked just right for throwing sticks into, and looked for signs of spring. Then we walked back and continued our circuit around the meadow. We came upon a picnic table in the wetland, and decided to sit in the sun for awhile and snack. The kids observed the cattails and the wind blowing in the grasses. Then we finished the route around the circle, made our way back to the car, and then home (in traffic, of course!). This was a really neat park to walk around, and I was impressed with the Visitor Center. It would be a great place to come on a rainy day, as you can spend some time inside. 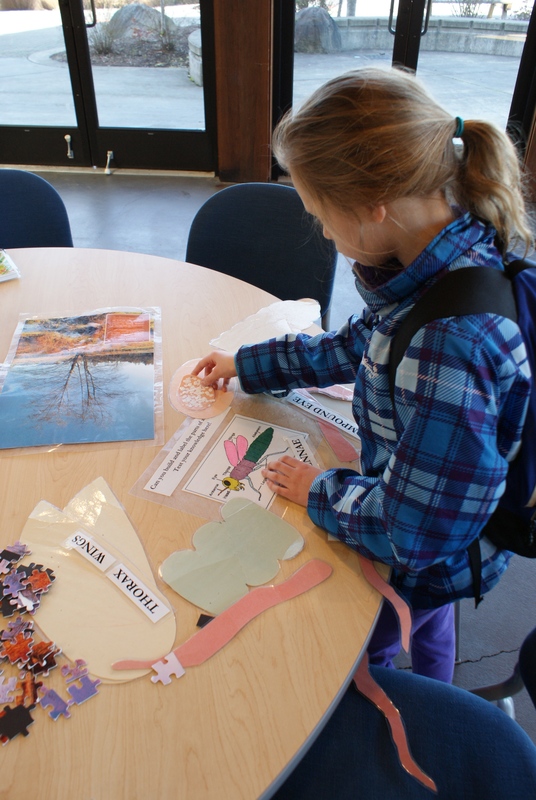 The Visitor Center has classes and hosts outings for kids and adults. The trails are appropriate for toddlers and older folks, and many people took their strollers on the paved portions of the trails. If You Go: You can get directions on the website for Lewis Creek Park. 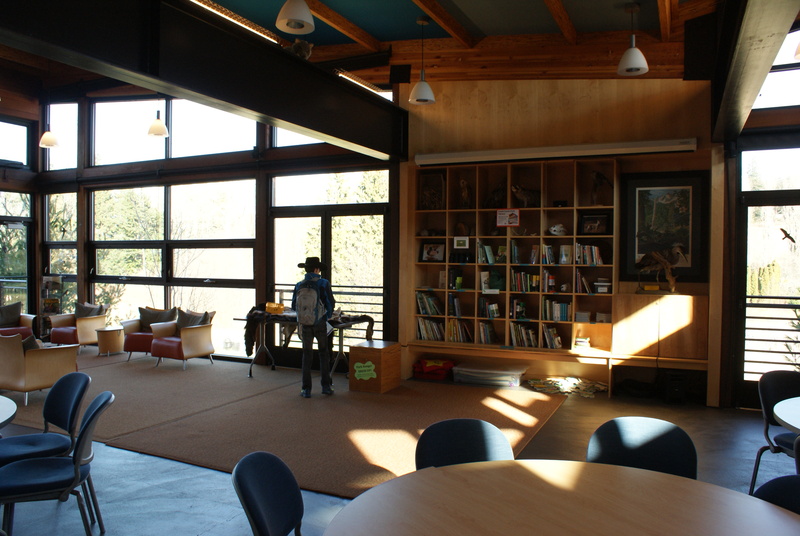 On that page you can also find info about what classes are going to be offered, and print out a map and native plant field guide (maps are also available from the Visitor Center during open hours.) The Visitor Center is open Wednesday through Sunday, 10-4, but the restrooms are open dawn to dusk seven days a week. Families can check out a pair of binoculars and talk to rangers when the Visitor Center is open.